Today I’d like to write about dark tourism. Dark tourism is a trend that has popped up in recent years. Dark tourism is the trend to go to places off the beaten path that are considered dangerous. These levels of danger can be low to high. There are actually some dark tourism places in Japan. I went to one last weekend. 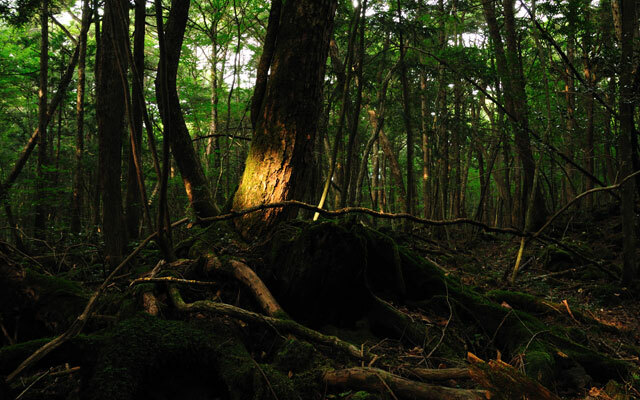 The place I went is Aokigahara, or the suicide forest as it is called in English. This is considered a dark tourism area because it is a place that is famous for people taking their own lives. This is an example of a place that is not so dangerous, because going there is safe because there are clearly marked paths. Another more dangerous place in Japan that people go is the area in Fukushima close to the nuclear power plant. This is more dangerous because in some areas the radiation levels are pretty dangerous for humans. There are actually tours that take people close to these areas and give them Geiger meters to test the radiation. Of course, other countries have more dangerous or strange places for dark tourism. For example, some people travel to remote villages in Southesat Asia and take part in funeral rituals or death rituals. These places can be more dangerous as you are going into places where you don’t know what is going on and going to places you might not be welcome. Overall, I think dark tourism is a very interesting topic. I would like to see some places people don’t really go, but I wouldn’t like to go to dangerous places. Would you ever try dark tourism?